One of the most surprising things about staying at Heritage Cabin Rentals is that our cabins are actually more affordable than a hotel! This is because you can sleep multiple guests in our cabins that range from 1 bedroom all the way up to 9 bedrooms! When you split the cost of a cabin among your family and friends, you will be amazed at just how much you can get for your money. If you want to make your vacation even MORE affordable, check out our Pigeon Forge cabin specials for the latest deals! If you are hesitant to take a Smoky Mountain vacation because you are worried about leaving your pet at home, you will be delighted to know that we have a fantastic selection of pet friendly cabins in Pigeon Forge! After all, we know that pets are considered part of the family too so feel free to bring your furry companion along for the fun! This sure beats leaving your beloved pet at home with a house sitter or having to drop them off at a kennel for the week! 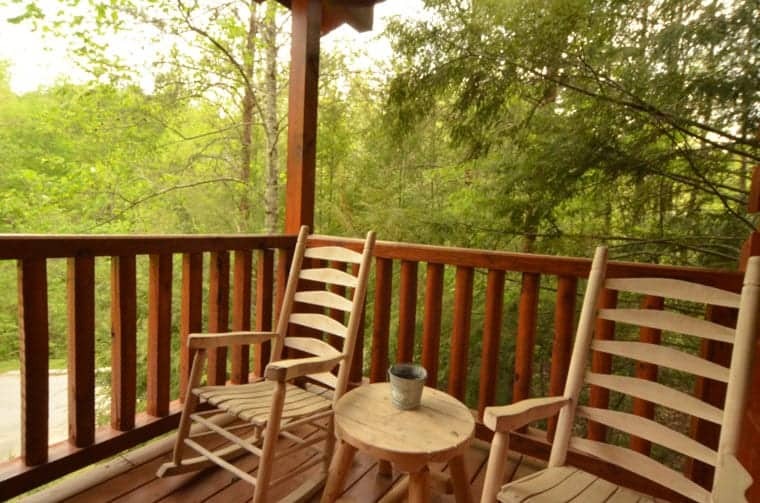 Our Pigeon Forge cabin rentals are practically a vacation destination on their own, with fabulous amenities such as hot tubs, fireplaces, decks with scenic views and more! If you want to add some extra excitement to your vacation, be sure to browse through our Pigeon Forge cabins with pool tables and games! These cabins have all types of fun games to play with your family and friends, so organize your own pool tournament or see who can become the air hockey champion! Another surprising thing about Heritage Cabin Rentals is that all of our cabins feature full kitchen facilities with a refrigerator, stove, dishwasher and every other modern amenity imaginable! This makes it easy for you to prepare meals throughout your vacation so that you can save money from dining out at restaurants and save time when you just want to be on your way! When you think of a Pigeon Forge cabin, you might picture a cabin tucked deep into the woods that is miles and miles away from civilization! While our cabins are situated in stunning locations among the Smokies, they are actually just minutes from all of the top attractions in the Smokies! Whether you are heading to Dollywood, The Island in Pigeon Forge or the Great Smoky Mountains National Park, everything is only a short drive away! Check out all of our Pigeon Forge cabin rentals today to plan your vacation to the Great Smoky Mountains! We hope to see you soon at Heritage Cabin Rentals!